Thank you very much for being a part of our wedding on September 27, 2014. 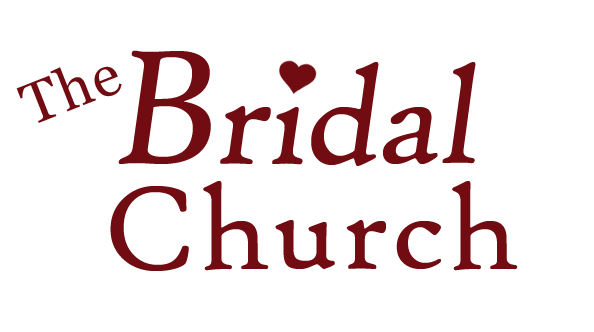 Having you there to orchestrate things made our day even more special at the Bridal Church. When we first saw this charming & historic venue right here in town, we knew that we finally found the perfect place to get married. Best of all, you helped me find the perfect wedding dress for me there, as well. 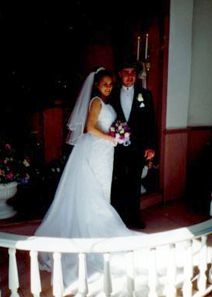 The memories of that wonderful day still linger on and give us great comfort to know that we had the best experience ever...by getting married at the Bridal Church in Green Bay. Thanks again for everything you do! Donna's approach to understanding our tastes and needs made us feel as though she knew exactly what we wanted. Not only did she offer us a wide variety of choices, she was also able to implement our own requests in order to tailor the ceremony to meet our needs. We put trust in a stranger and we were embraced by her kindness and romanticism. She really delivered for us on the most important day of our life. If you're looking for the perfect old-fashioned little white chapel for your wedding....this is it! Everyone commented how cute and charming the chapel is. The pictures turned out wonderful both inside and outside. And the antique pump organ created a beautiful, everlasting memory. Thank you so much for the perfect wedding day! Better than I had imagined! Your chapel, decorations and candlelight was the perfect atmosphere to begin our life together. Rev. Stannaid had the most beautiful ceremony! God provided one of the most beautiful sunsets I have ever seen! Better than I had imagined! Merry Christmas! 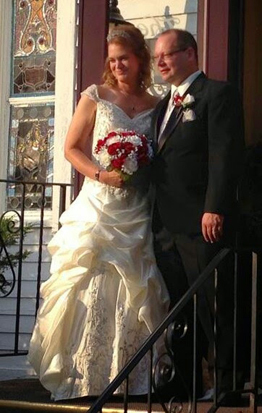 We wanted to thank you for making our May 9th wedding such a memorable day. I could have done without all the "tears of joy" on my part, but the emotion and beauty of it got the best of me. The church was beautiful. Thank you for letting us use our own music. We so appreciated you letting us personalize our day. Dear Donna, Thank you for such a beautiful wedding. Enclosed is a picture for your website. We like it because you can see the beautiful decorating you do for a lovely, hassle-free wedding. Thank you so much for all you did to make our wedding special and perfect! The church was beautiful, and we couldn't imagine having our wedding anywhere else. You were so great to work with - kind, fun and understanding. You are definitely in the right business! Shannon and I would like to say thank you for everything you did. Everything was perfect and it was all due to you!!! The Bridal Chapel was everything we could have wanted and more. You were an exquisite hostess who took care of all our needs from the unity candle, flowers, right down to the music. The chapel was just the right combination of elegance and romanticism. We can't wait to do it again on our 10th anniversary. Everything was perfect and it was all due to you!!! 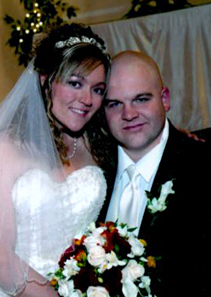 Donna, I wanted to thank you for all the help with arrangements for Scott and Cari's wedding. Everything went beautifully. My son is difficult to please, but he couldn't say enough about how unique and picturesque the location and church were. He and Cari were so happy I knew everything must have exceeded all their hopes for a beautiful wedding. The wedding service was lovely and we were impressed with the Minister and his ability to make everyone relaxed and comfortable. You'd never know he had just met the kids the night before. I truly appreciate all the "extras" you helped me with. The photographer, John Rabb did a fantastic job, the limo service was elegant and I was impressed with their helpfulness. Serves You Right sent a great basket of treats to the hotel which thrilled the kids. I really found a treasure on the internet when I located the Bridal Chapel of Door County. Thank you again for helping to make this a memorable wedding. The wedding service was lovely! Our weekend wedding was touched by so many native Door County residents because we chose a November wedding my family and guests (17 people of 10 which were guests) were not lost in a sea of tourists. Small talk introduced us to everyone from waitresses to resort staff, everyone eager to give us warm wedding congratulations and discounts wherever possible. As for our wedding site at your beautiful chapel, I remembered reading you described it as quaint. Honestly, Donna, quaint just doesn't do it justice. Priceless intimacy is what we had on our day. With or without foliage (I saw the church with both) the grounds were amazing. All the little details you ensured were taken care of was just right to make our day something to remember for the rest of our lives. 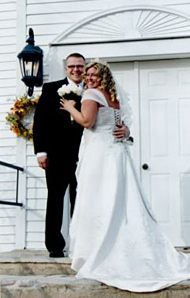 My husband Adam said "hone, the wedding surpassed all of my expectations!" (Lord knows he didn't help one bit in the planning dept.) I hope you have an opportunity to share this with other couples that might be considering booking their wedding with you in Door County.